As BP launches now their 3rd attempt at stopping or controlling the spewing oil from their BP oil pipeline 5000 feet deep on the ocean floor, Coast Guard Adm. Thad Allen says a saw has become stuck in a riser piper. This 3rd attempt by BP to stop the massive spewing of oil into the Gulf of Mexico is called the Top Cap. The Top Cap procedure is the equivalent to placing a large rubber seal over the leaking oil pipe, contain the oil leak, and channel the oil into a specific direction. The Top Cap method, also known as the cut and cap method, will not stop the oil flow completely. It will only capture some oil and funnel it to vessels, according to the AP. BP has said its best chance to plug the leak rests with two relief wells that will not be ready until August. Doug Suttles, BP’s chief operating officer, told CNN the latest method should collect the “vast majority” of oil if it succeeds. “Hopefully by late [Wednesday] or Thursday, we should have this thing operating,” Suttles said. Below is the live oil spill feed from BP. Although we haven’t seen a live feed of actual oil shooting from the BP oil pipe since the Top Kill procedure, this is apparently the same live feed. However, if the previous attempts to stop the oil gushing failed, then you’d think we would still see footage of the oil actually shooting from the BP pipeline. I am outraged that not only is BP doing barley anything to fix this problem NOW (not in Aug.) but our own country and other countries arent racing to fix this NATIONAL disaster. Our sea is our life with out it we will all falter. Many animals will die as they already have. This is something that needed to be handled once it happened even if it put BP out of business but NO were letting them take short cut after short cut to save them money but them saving money if killing our planet and unfortunately with no planet you can be the richest man in the universe but still will die along with us. Many people have stated that in 2012 we will all come to an end, with how we treat this planet and how we have NOOOOO concern whats so ever about its ecosystem and NATURAL habitats we will all falter. This isnt hurricane katrina or 911 where massive people died do to something we could barley stop, this is something we did and something that will soon take more lives then all natural and unnatural disasters combined. TIME IS RUNNING OUT WE MUST ALLL FIGHT FOR OUR LIVES AND HAVE THIS PROBLEM HANDLED PROPERLY before the next generation fails to exist!!!! I TOTALLY AGREE I personally think they should of thought ahead about how bad this oil spill was and is right now! They are letting tons of animals die and they aren't doing crap about it! 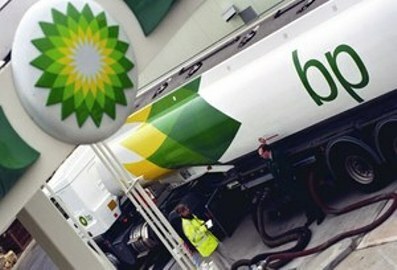 You'd think by now BP could have used all that money the have to at least have slowed the leak! Instead they're letting their oil wreck the gulf forever, and do you know who is going to have to clean up their mess!? US! Because we are actually concerned about whats going to happen and i don't think it's fair that you and me and maybe even the next are kids and grand kids are going to have to clean up a mess that we never made!